The atmosphere of Saturn's largest moon, Titan is often viewed as an analog to what the Earth's atmosphere may have been like billions of years ago. Despite the 800 million miles between the two worlds, both may have had their atmospheres created through the gravitational layering and processing of asteroids and comets. "We see Titan as a natural oasis of remarkable astrobiological significance to understand the environment in which origin of life took place on Earth," said Josep M. Trigo-Rodriguez, of the Institute of Space Sciences (CSIC-IEEC) in Barcelona, Spain.. "It seems that a plausible scenario to build life consists of a dense atmosphere, where small particles like organic haze and meteoric metals could act as catalysts for the formation of more complex organic compounds from simple precursors such as carbon monoxide and methane, thus promoting increasing complexity." "Titan provides an extraordinary environment to better understand some of the chemical processes that led to the appearance of life on Earth,” added Trigo-Rodriguez. “Titan’s atmosphere is a natural laboratory that, in many aspects, seems to have a strong similitude with our current picture of the pre-biotic atmosphere of Earth." "This is remarkable, because it was thought that Earth and Titan were made from a vastly different recipe of materials in drastically different temperatures," he says. 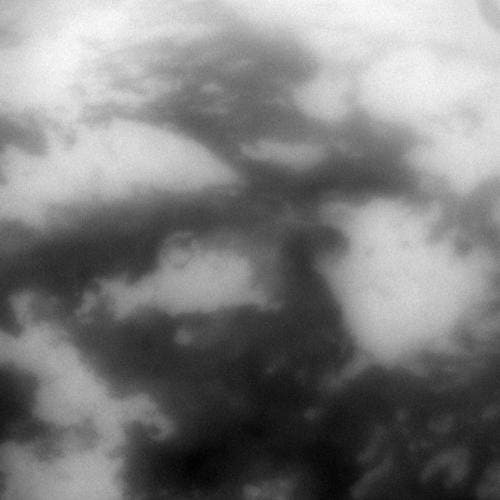 The image above shows a portion of Titan's low latitudes taken by the Cassini probe on October 12, 2009. The view was obtained at a distance of about 296,000 kilometers (184,000 miles). 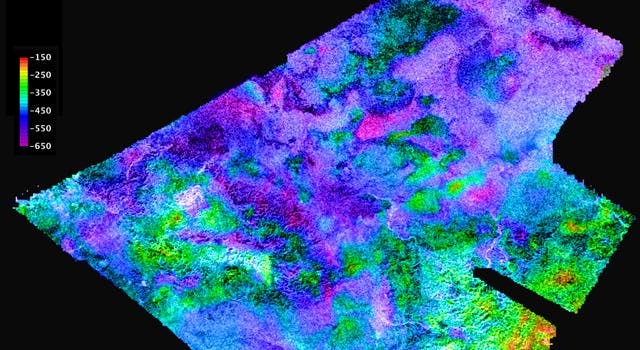 The bright patches are more reflective than the dark areas and are probably made of icy materials such as water ice or frozen carbon dioxide. The dark areas likely host dune fields which are common in the low latitudes of the moon where prevailing winds seem relatively strong. A dark circular ring in the upper boundaries of a bright feature toward the center of the portion is likely the outcome of a meteoritic impact. This circular patch may also be a caldera or a cryovolcanic feature. The research paper, "Clues on the importance of comets in the origin and evolution of the atmospheres of Titan," by Trigo-Rodriguez and F. Javier Martin-Torres (Center for Astrobiology, Madrid, Spain), offers insight into the atmospheric affinities of Earth and Titan. Earth presumably formed from scorched, oxygen-poor rocks (planetesimals) located in the inner solar system, while Titan formed from rocks that were rich in oxygen and other volatile chemicals (cometesimals) in the outer solar system. Trigo-Rodriguez and Martin-Torres believe the vital organic ingredients in the early Earth's atmosphere were vaporized and swept away by solar winds. The ingredients for the air we breathe today returned about 4 billion years ago, during a cataclysmic rock storm known as the Late Heavy Bombardment (LHB). During this period, oxygen- and volatile-rich materials from the outer solar system were hurled en masse towards the inner solar system. Chris McKay, a planetary scientist at NASA's Ames Research Center, says comets may have made small contributions to the water, carbon dioxide, and nitrogen content of the Earth's early atmosphere, "but they were not the main source." This is known because the Deuterium/Hydrogen ratios of our oceans do not match the ratios found in comets. He says asteroids hurled our way during the LHB could be the main source of water on Earth. Trigo-Rodriguez says he and McKay are basically on the same page. "We think that asteroids and comets were key sources for water and organics,” says Trigo-Rodriguez. Four billion years ago, some asteroids contained so much ice that they would have brought just as much water to our planet as comets did. Trigo-Rodriguez and Martin Torres studied how hydrogen, carbon, nitrogen and oxygen isotopes reacted with their environments on Earth and Titan. They looked at data recorded by the Cassini-Huygens probe to better understand the isotopic ratios in Titan's dense, hazy atmosphere. Different distances from the Sun, different sizes and different environmental conditions led to different chemical evolutions on the two worlds. Even so, both Earth and Titan were hit by similar water-rich bodies, which provided a volatile-rich source for both atmospheres during the late-heavy bombardment. Outgassing and collisional processing on both worlds led to the production of molecular nitrogen-dominated atmospheres with similar isotopic ratios of hydrogen, carbon, nitrogen and oxygen. A 2007 experiment by chemistry professor Margaret Tolbert and graduate student Melissa Trainer at the University of Colorado in Boulder showed early Earth's atmosphere would have had the same organic haze that encourages formation of complex organic molecules on Titan. Scientists are still wondering how Titan is able to maintain all of its atmospheric methane. According to McKay, "Earth's atmosphere is composed of compounds that persist over billions of years. However on Titan, all of the methane should have been destroyed by sunlight on a timescale of about 30 million years. There must be a source of methane re-supply." The methane in the atmosphere may come mainly from Titan’s lakes of liquid hydrocarbon. But to really understand what is re-supplying the methane, Martin-Torres would like to see another probe sent to the moon’s surface. (The Cassini mission sent the Huygens probe to Titan in January 2005, but the probe had limited instruments and could only transmit data from the surface for 90 minutes before the battery power ran out). "We need a surface exploration with a lander-style mission,” says Martin-Torres. “We're still missing the most important data.” A ground probe could examine the composition of Titan's surface, the nature of its low-temperature chemistry, and search for signs of life. Titan has many of the components for life without liquid water. But the orange hydrocarbon haze that shrouds the planet's largest moon could be creating the molecules that make up DNA without the help of water – an ingredient widely thought to be necessary for the molecules' formation according to a recent study.